Michael-Che Swisher’s work is inspired by her love of animals. As a child, she dragged home a very injured squirrel, bunny and bird. She still stops and picks up every lost dog she encounters and volunteers as a wildlife rehabilitator. 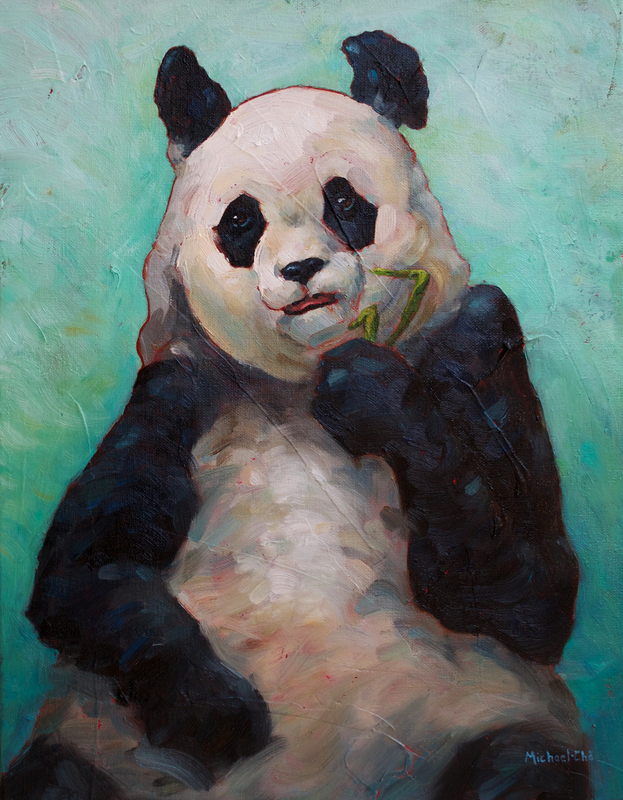 Swisher focuses on color, texture and the personality of the animal. She works instinctively and rarely plots out the colors, tools or technique. Using both brush and painting knives, she enjoys moving thick layers of paint around on the canvas. She mixes her colors on both the palette and on the canvas. At the age of 20, Swisher began her career by painting Ben & Jerry’s murals. Realizing that her mother was wrong and she actually could make a living as an artist, she moved to San Francisco to attend the Academy of Art University. She worked as an illustrator for seven years before turning to fine art. Swisher is owned by four cats and a beagle (the only lost dog not reunited with his family). 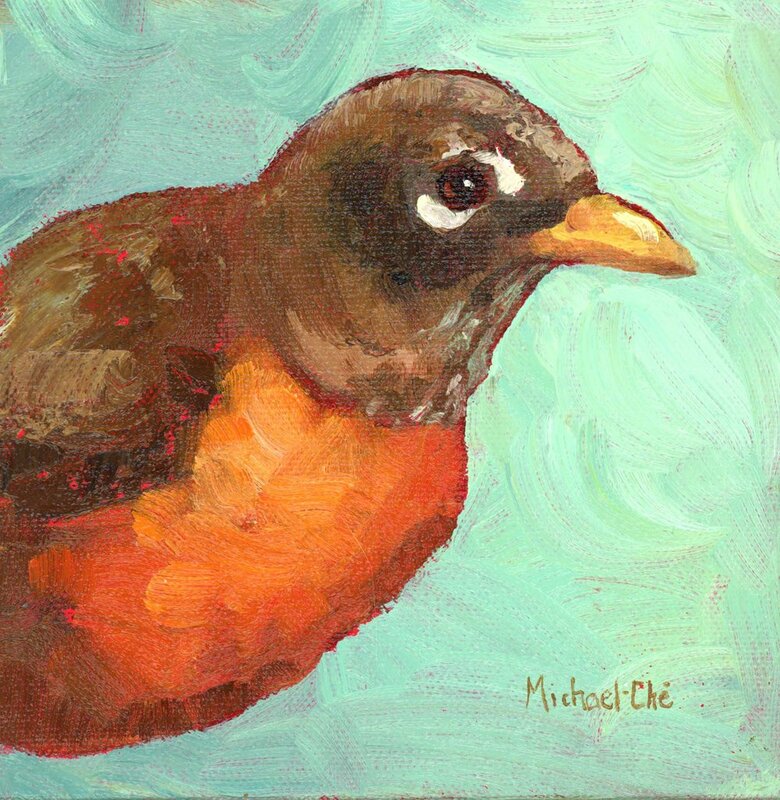 They often show up in her artwork, along with the beloved songbirds, deer, wild turkeys, lizards and owls that roam her backyard.